There is no doubt that cozying up on the couch to watch a scary movie makes for a great date night. But, escaping with a thriller can get old after a while. For a change, why not opt for a film with a storyline and characters that you can both identify with? Here’s a list of terrific films with stories that any couple in an interracial relationship will appreciate. This romantic comedy tells the story of a successful black woman who is struggling to find the perfect black man. After her friends convince her to go on a blind date, she is shocked to see that her date is white. Although she initially wants nothing to do with him, love blooms after she hires him as her landscaper. 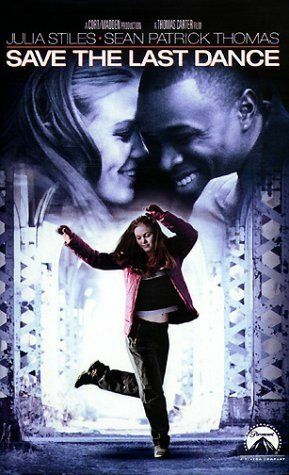 This movie follows a young white girl who moves to Chicago with her father. Once there, she falls in love with a black student at her high school and he helps her fulfil her dancing dreams, despite the backlash they face. This movie set in the 1950’s focuses on the friendship between a white housewife and her black gardener. They grow closer and closer after she finds her husband cheating on her, but she struggles to deal with the social stigma that comes along with their relationship. This movie, also set in the 1950’s, tells the tale of a white widower and his young daughter. After his wife passes away, he hires an energetic black nanny to look after his daughter. Unexpectedly, she brings joy back into both his and his daughter’s lives. This movie that was truly before its time focused on interracial marriage in a positive light at a time when it was not socially acceptable in many, if not all, parts of the world. Although the film focuses on the prejudices of white parents who are faced with their daughter’s black fiancé, there are positive messages of acceptance. When a young girl finds out that her mother used a sperm donor to get pregnant, she’s determined to find her real father. Everybody is surprised when it turns out that he’s white! The film cleverly portrays the race relations and romance that is intrinsic to the story. The movie focuses on a French white woman in a relationship with an American black man. Their comfortable home life is turned upside down when her French family decides to stay with them for a few days. After her family is driven out of Uganda by a dictator, a young Indian woman starts a new life in Mississippi. She falls in love with a black man, causing drama in both her family and his. This sci-fi movie is intense and entertaining with an interracial relationship that defies all the odds. In a world of rampant violence, the couple must fight against all odds to survive. A black woman who lost her husband falls in love with a white man, not realizing that he is the one responsible for her husband’s death. Meanwhile, he has to deal with the trauma of witnessing his son commit suicide after a heated argument between them.